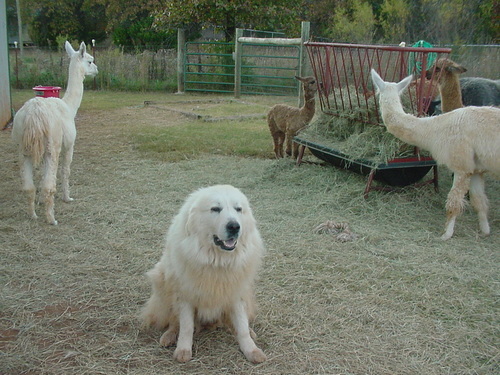 Awesome Acres 'Pacas & Pyrs is a farm located in Oklahoma City, Oklahoma owned by Michael and Sherry Alpert. See Obsidian King under our Herdsire listings. Oklahoma City, just 4 miles south of I-40. This is home to currently 62 Suri alpacas and 4 Great Pyrenees livestock guardian dogs. We pride our herd as being mostly home-grown, the result of breeding decisions we made. We have purchased a small number of select alpacas over the years, to support genetic diversity and quality. This has allowed us to be competitive as a small ranch, winning our share of blue ribbons and championships at shows from Louisville to Denver and in between. Visitors are very welcome, preferably by appointment. 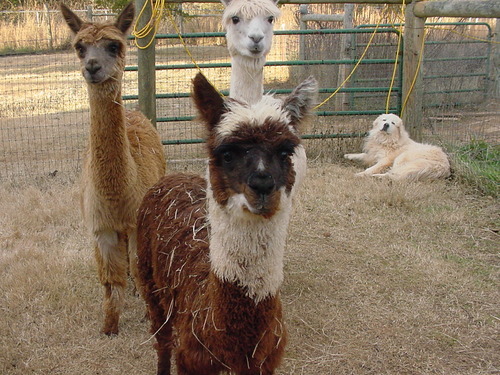 We will be more than happy to tell you how we have turned a small acreage into a productive ranch on a small budget, and introduce you to the Alpaca Lifestyle. We are a Made-In-Oklahoma business for Suri Alpaca Yarn, which is available for purchase. 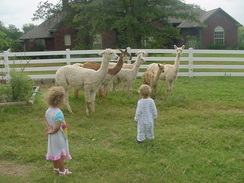 We are members of AOA, Alpacas of Oklahoma Inc., TxOLAN, MOPACA, and the Suri Network. Here's a little slideshow to show you a sample of our herd. Enjoy! 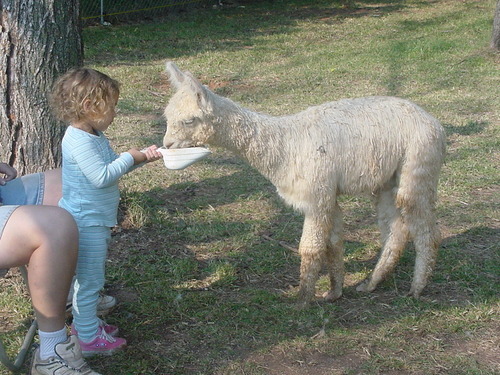 All alpacas are sold "as is" and come with various reproductive guarantees. Financing is available depending on the purchase price. We are very negotiable.